Q: I’ve been dating for two and a half years and no longer feel the tingles of being ‘in love’, though I am committed. Is this normal? 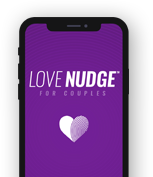 Gary Chapman: We have discovered that the average life span of the ‘in love’ euphoria is two years, so if you’ve been dating for two and half years it’s not abnormal that you have come down off that high. The important thing is that you learn to speak each other’s love language so that you keep emotional warmth in the marriage. If you had not come down off the high while you were still dating, you would come down off the high after you get married; everyone does. So really you have an asset here. You have a chance to learn how to love each other, keep emotional warmth in the marriage, and process life in a rational way, seeking God’s guidance. I think you’re at a good place in your relationship.